Trust the Film was very much a collaborative process that allowed people to excel in all their various crafts allowing the final creation to be exceptional. Making films is a lot of fun backed by hard work. We were always looking at how we could improve the way we do things. Here are some photos that show what went on behind the scenes. Our efficient camera crew dropping in a filter to make sure the shot looks right, whilst our lead actor (Keith Austring) prepares for a scene. 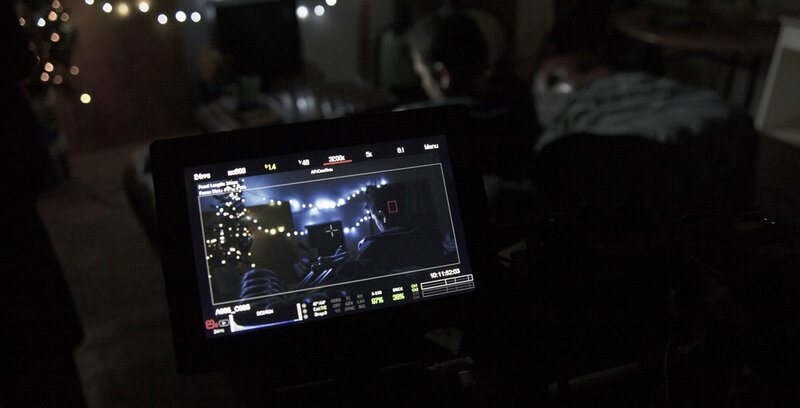 A photo off the Red cinema camera's touch screen, As you can see all the little lights make a really pretty shot that adds to the composition. The camera crew setting up. It takes a lot of different people who know what they are doing to make sure the image is correct. Jamin,1st AC (Assistant Camera Operator) ensuring all settings are perfect even down to the shutter angle for our DOP (Director Of Photography). 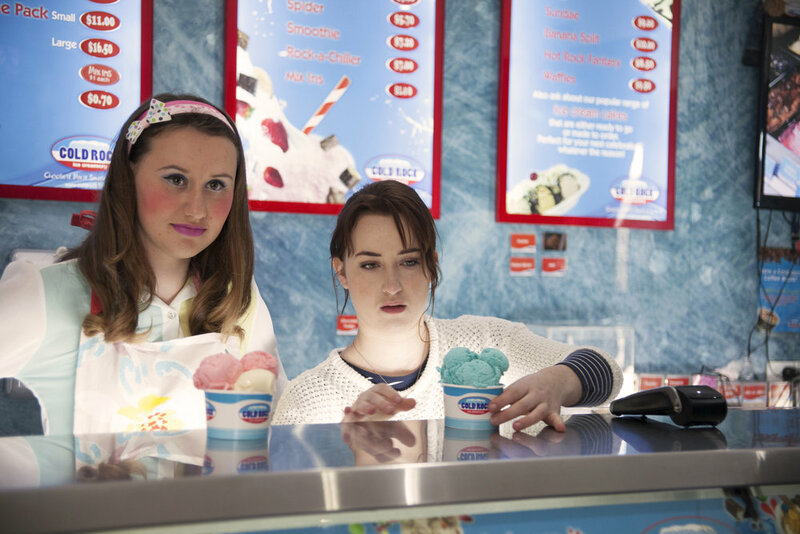 Rebekah from Props, featured on the right, styling ice creams into right position before the camera begins rolling. Having our DIT (Digital Imaging Technician) on set helps to make sure the RAW image is going to give the most information, keeping our post production team happy with what they get. 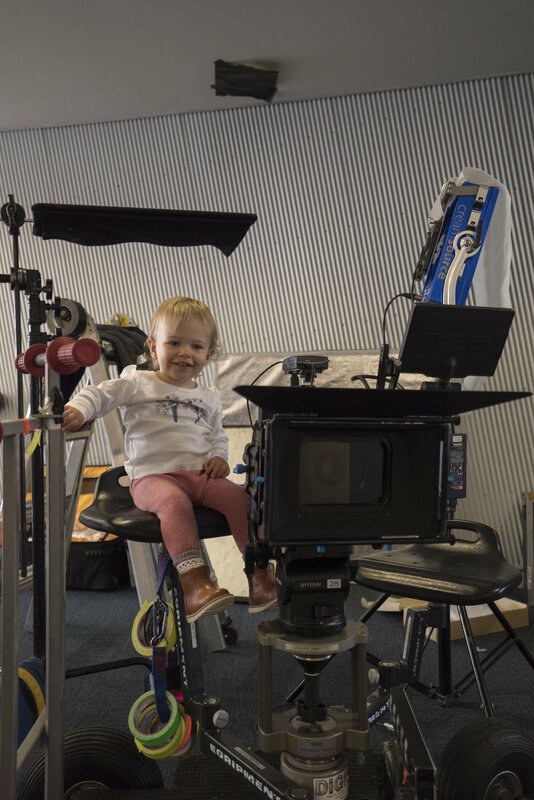 Our grips department responsible for making sure the camera moves without any problems. 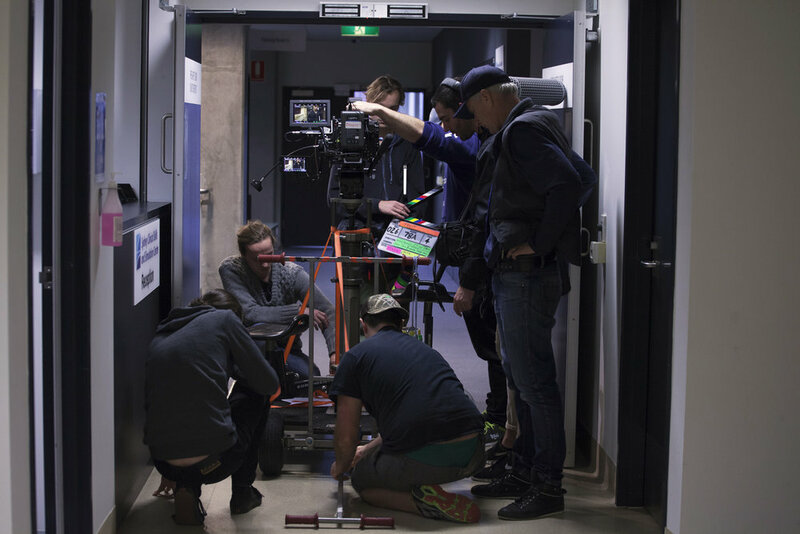 The crew here are securing a dolly in this picture before it is about to be run down the hallway. Mounting a very expensive camera to a car can certainly raise the blood pressure of the producers...but sometimes it just has to be done. Our director Angus stayed close to the action by keeping his monitor close, allowing crucial decisions to be made during the film process. This picture is in the back of a car where the camera operator is just out of shot to the left. If you allow inexperienced crew to operate the camera you may not get the shots you are after. Lucky this was on a lunch break. 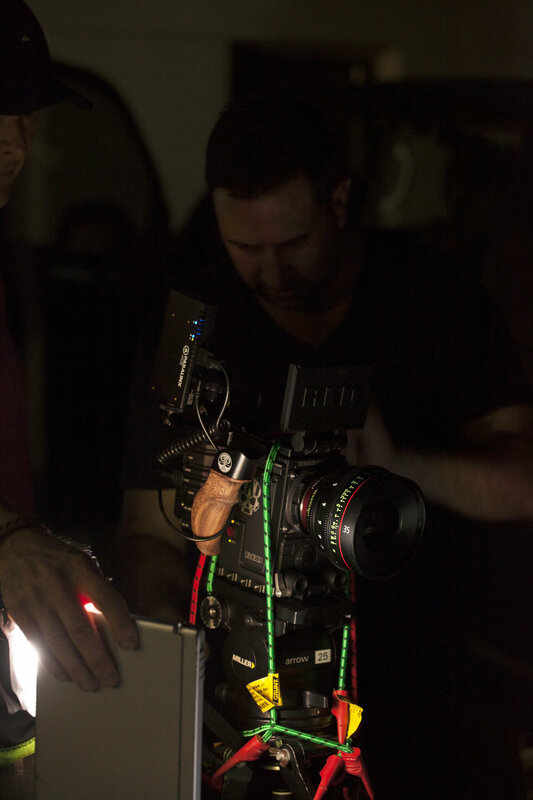 Our DOP (Director Of Photography) Mick Eady prepares to shoot, with his 1st AC Jamin (Assistant Camera Operator). Mick worked closely with our director Angus to ensure they got the same overall look & feel of the film as well as doing what he does best 'Quality Pictures'. Set Design and Props are mostly not even noticed, but they enhanced our film in such a dramatic way that the audience will enjoy this film without even thinking about it. Our second AC (Assistant Camera Operator) marking the shot before a take.